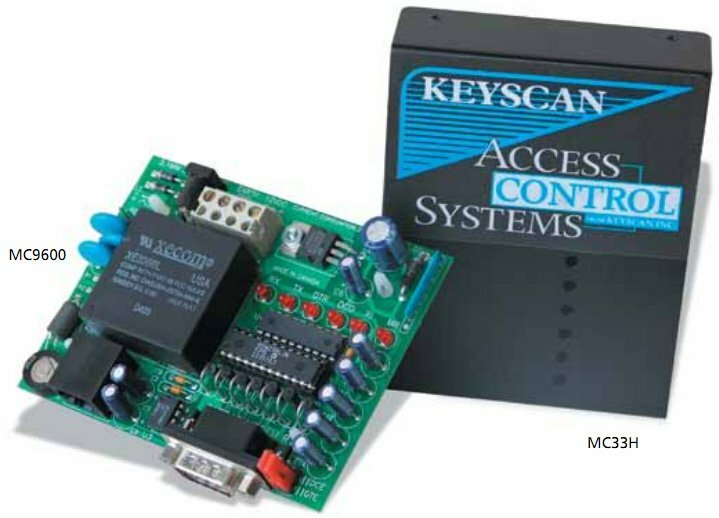 • Designed by Keyscan specifically for use with Keyscan Access Controllers and Keyscan's Access Control Management Software. • MC33H is supplied with housing and plug-in transformer for simplified installation at a computer running Keyscan's System VII Software. • MC9600 (Panel Mount) is powered from the ACU's 12 VDC battery backed up power supply for faster installations and reliable operation even in power outages. • Pre-loaded with standard setup parameters to ensure trouble free connection the first time. • Additional modem and ACU settings are updated by Keyscan's Access Control Management Software. • Fast, easy, trouble-free installation.